Wow that looks really good. 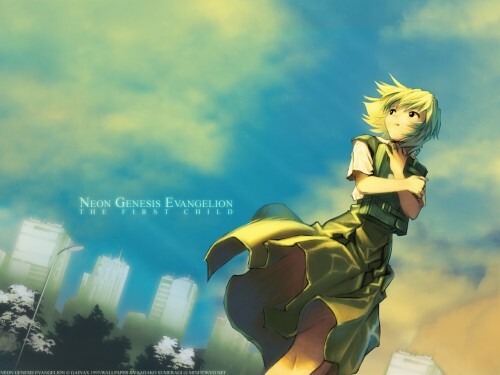 I love just the way Rei looks in it...and the cool looking clour theme. Great job! i luv how this wallpaper turned out. the tones r perfect but i think a tiny part of her hair isnt extracted. @. @' i think its me your my bad eyes. ^.^; but great job! Oh! You made an awesome wallpaper! You should really liked this one :D! Congratulations! When I saw the thumbnail in the newly add wallpaper section I got very interested in this, it looked so pretty... how much more pretty this looks bigger! The feeling of warmth is really present in your wallpaper and this is interesting becuase it is a Rey wallie and she's always pictured so cold and sad. But your wallie has lots of moviment and a hopeful atmosphere that is both pleasant to the eyes as to the heart! very nice looking wallpaper from you ! prespect is very interesting, you don't see much wallies with view angle like this. light yellow tones in the sky and clouds gives really theme of the summery evening with the sunset though you can't see the sun. blue colour of the sky is very clear and calming, fits nicely with the yellow. highlights in the clothes of rei also gives touch of the sun light and shading comes out softly. also the way how her dress flows gives the idea of the warm breezy wind ^_^ buildings in the background are nicely light but they separate well from the sky. darker coloured trees gives contrast to light buildings and sky. colouring overall is smooth and rei's clothes look like they are painted with oil paint. good job and thank you for sharing ! Very nice wall. I do get that warm and breezy feel to it. I really like the scan and the background matches really well. I like the buildings in the back and the whole angle. Good job! I'm happy to see this wallpaper of yours. Rei is my favorite cheracter in Neon Genesis Evangelion! It's truly awsome and beautiful beyond reason! i love that blue ! I really like the simplicity and the composition of your wallpapers. They are not crowded and are pleasing to the eyes. I can't even describe the feeling of this wallpaper. It's soo good! <33 Fave! I love it as the other one. Nice job. Ese Yuji si que sabe dibujar y tu sadakosumeragi sabes como complementar su trabajo, para asi qrear algo totalmente difrente. Thank You. I love the cute wallpaper with Rei along with the background. G-R-E-A-T! Rei is simply fantastic, she's such a pure girl and this picture rapresents it perfectly!